Your golden years have the potential of being the best years of your life. But you need to plan for it prudently. 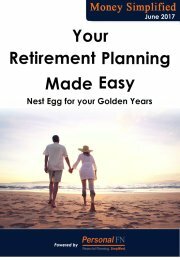 If you want to live the lifestyle you are adopting now, or even aspiring for something better, this Retirement Planning Guide can be a rich and valuable resource.